City compost site opens this weekend on a limited basis. Food scraps and non-recyclable paper composting coming later in April. I got an email from Northfield Street & Park Supervisor TJ Heinricy yesterday with the news that the City of Northfield compost site will be open this weekend and then on a limited basis until the official April 10 opening. Open: Saturday, March 31; Sunday, April 1; Saturday, April 7 (but closed Easter Sunday, April 8). Saturday hours: 8 a.m. to 5 p.m. Sundays: noon to 5 p.m. Most folks who keep a compost pile at home know the rules: No bones, no meat, no dairy, no paper plates or napkins unless you want to attract rats and other unpleasant critters. 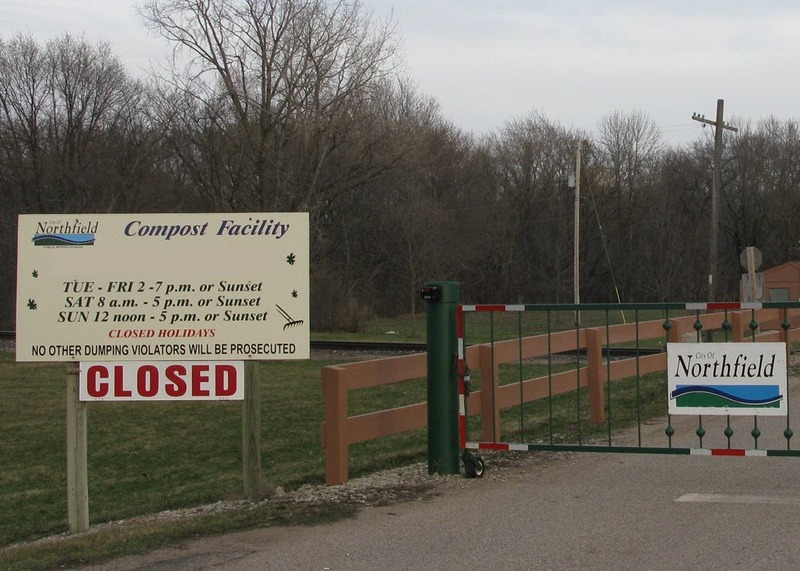 Those rules won’t apply when the City of Northfield embarks on a new organics-recycling program at the city’s compost site near Sechler Park this spring. Beginning April 10, when the compost site opens for the season, residents will be able to bring food scraps, including dairy and meat, as well as non-recyclable paper, such as napkins and paper plates, to the compost site for recycling. Residents must use special recycling bags, available at Just Food Co-op, and place their food waste into a lockable bin at the compost site. That’s great, but is there some reason why special additional hours for the compost site are distributed to LoGroNo via email, and not (also) being displayed on the official site? Tom, sorry for the delay in replying. The link to the special hours is on the right sidebar of the City’s Yard Waste page.